To reiterate from the video what I'm wearing as far as makeup goes is a base of UDPP, Mac Vex on the lid, UD Smog for contour and lower lash line, and UD Virgin for the highlight color. I applied my eye makeup this morning and haven't touched up at all so it lasted a good 12+ hours, a feat I consider to be quite impressive. And my Harajuku Lovers "Sunshine Cuties" Summer Fragrance in LOVE. Love her killer shades! Let me know what you guys think. Are you going to pick any of these up? 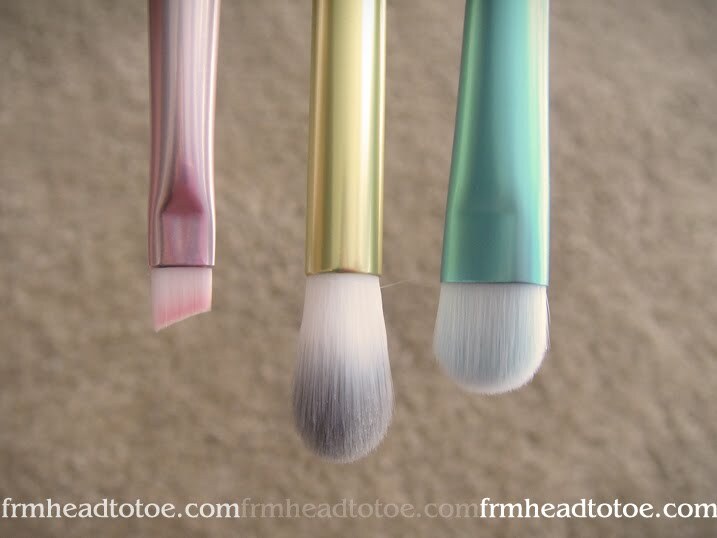 The brushes are so cute! 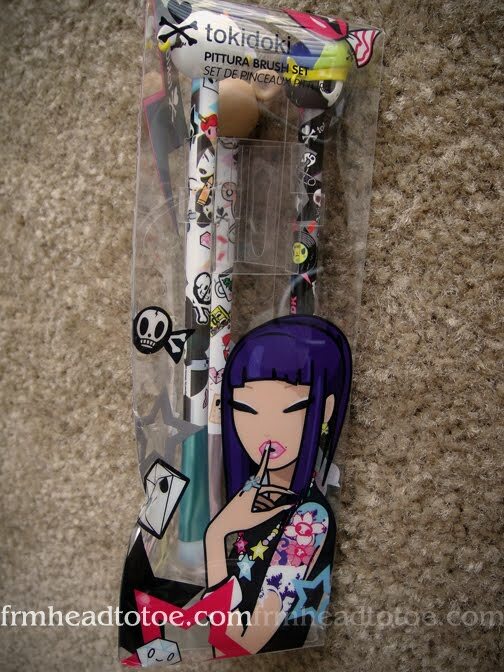 I want those tokidoki brushes so bad! please do a review on those =) The new harajuku bottles look adorable but i already have 5 bottles =P It would be nice if they came out with new ones. the brushes are so cuteeeee! I and may have to get this palette.. I'm a huge fan of neutrals.. sigh. 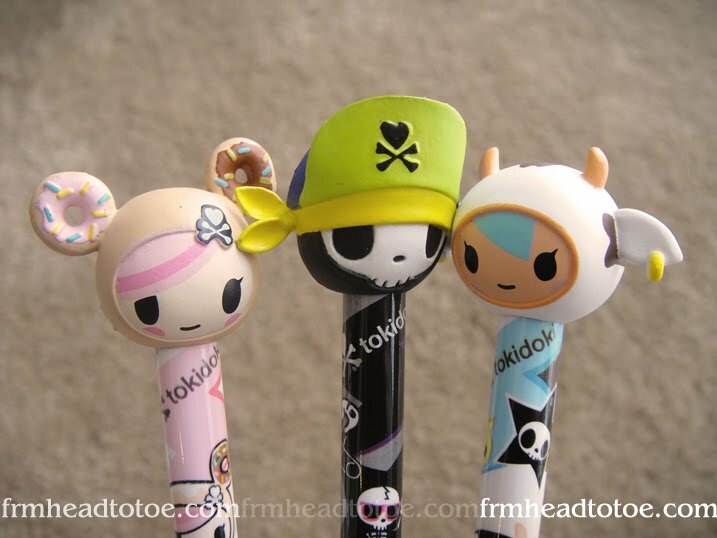 tokidoki brushes are SO cute! my favourite out of naked palette is half baked. UD palettes are always so pretty and pigmented! I was going to get the palette but wait for the F&F sale. But, I really really want that brush set now. It's adorable. 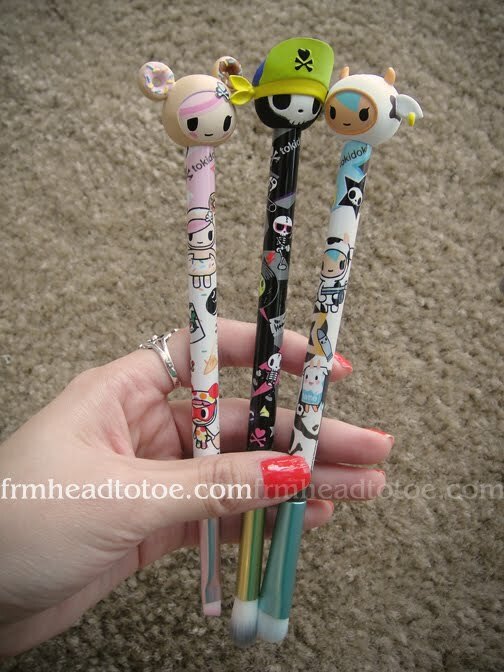 Oh my... those tokidoki brushes are so cute! Have to start looking for them. Thanks for your Naked swatches, it is lovely. Still, as usual i can only gawk at UD products, wait till i get to Singapore... they have UD there! btw, do you know how the sunshine cutie version of love compares to the snow bunnies one? because i have that one and now i'm eying this summer collection version (thanks to you :P). 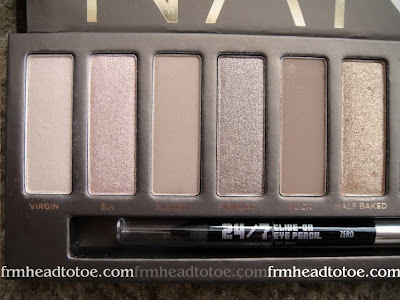 i so want that NAKEd palette!! your makeup is so pretty here! Tutorial please! I really want that Naked palette. Oh my, even looking at the picture of you holding that palette is making me envy. 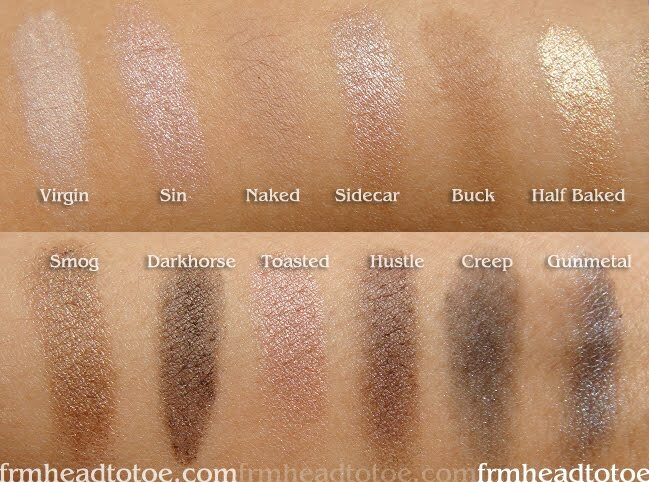 I already own the Ammo, Deluxe, Skull and Wallpapet palette from UD, and I am really glad only Smog and Sin are in those 4 palettes. Was thinking to wait for F&F, but I gave in and ordered two days ago. So glad I did, cause it is OOS again in Sephora! Can't wait until I can finally hold it and play with it!! Love your eyelook, so "naked". Good thing this is "sold ut" because I can't justify myself spending another $44 on makeup. But boy do I LOVE those colors. My makeup is very conservative and I don't wear shadow on a day to day basis, but I am so drawn to those taupes, browns, grays. Thanks for swatching! I always come back here and search for swatches when I'm about to buy something. What's so great about being 'naked'? LOL...sorry, jealousy made me wrote that..! anyway, LOVE all your purchases! super cuteeeee brushes..I really want those tokidoki brushes..
that "NAKED" font totally reminds me of the NARS eye shadow and blush packaging font! what time did you apply your eye shadow in the morning, and what time was the video shot? you said no touch ups? awesome. is the weather in kansas muggy / hot? that's some true staying power. still looks very vibrant after all those hours. PAG: I'm wearing Eyeko Coral polish. :) It's a gorgeous red-orange but it doesn't wear as well as the Maybelline polish I got at the Dollar Tree in nearly the exact same shade! Anonymous: I applied my makeup at around 8 AM and I shot the video at 7 PM so it lasted this way after 11 hours. The weather here is VERY humid and hot but I was in air conditioning for most of the day other than my walk to and from the car and 2 hours of driving. You really make me think twice about the naked palette, now I might just get it. I absolutely love the tokidoki brushes, are they heavy at all? aw man..I told myself not to get anymore eyeshadows but after ur post..i really want this set! Where can I get those brushes? OOOhhhh. The palette! Want! And the Harajuku fragrance! Totally reminding me of my trip from Bali from just a few days ago. Wow!!!! That Naked palette is too good to be true. Too tempting. LOL. Great haul, Jen!!! 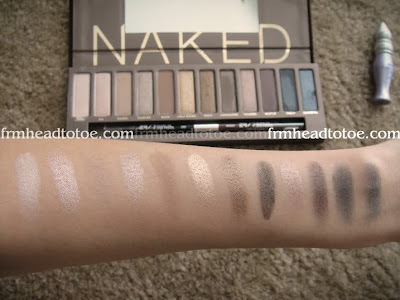 I love this naked palette- totally my colors!!! You have beautiful skin - what face wash do you use? I love your reviews!!! Btw, how do you curl your hair? is it natural or do you use a curling iron? I seriously have had zero interest in Naked! 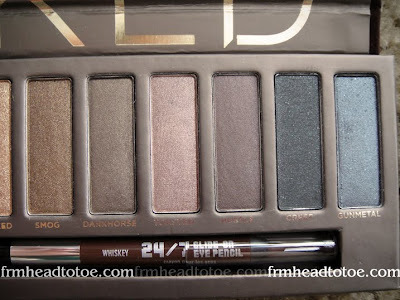 I guess it's because when I think Urban Decay, I think CRAZED colors like the intense reds, greens, blues, and purple. Blarg. Hey Jen I love all the things in your haul especially the Naked palette and the Toki Doki brushes! I was wondering if you could do a natural look with the Naked palette. Thanks! Hahaha those brushes are so cute! Not that they would fit in my toolbelt but who cares, they're too sweet! I love your reviews for products! I am currently IN LOVE with cosmetics and you're really helping me with getting to know the basics and more. Thank you so much. My mom also really likes your videos and says that you are a really good makeup artists. Especially for the new younger korean/american generation. 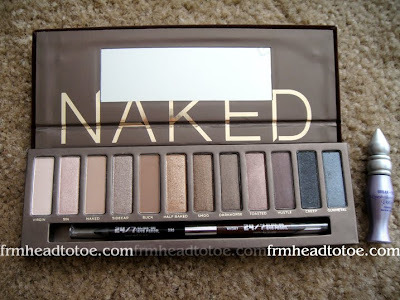 I just got my NAKED paletted in the mail this week. I have yet to use it, but I love it already ahaha. I also asked my grandma in Korea to buy and send me some of the Lioele products you reviewed. I'm a total packaging fan like you are, so I can't wait for my Lioele haul to arrive. Thanks again for everything, Jen! Hi Jen! Since I've watched your review and videos on Urban Decay Naked, I've been dying to have it and have been looking for this in Sephora abroad. I've been to Sephora Hk and SIngapore. The sales ladies there told me that it was already sold out. Can you please let me know where else I can buy this product? I'm really dying to have this!!! OMG...I want that all!! so cuteeeee!